I am a watercolorist currently, with a varied past of working in oils, printmaking, stained glass and relief printing. I enjoy depicting my local environment of flowers, fields and fruits of the farmer’s labors. What could be nicer than to celebrate Hadley with a day outside painting crows picking over a cut cornfield in the fall or a vase of cut flowers from the back yard? Come celebrate Hadley with me by stopping by Barstow’s for a bite and see my paintings! 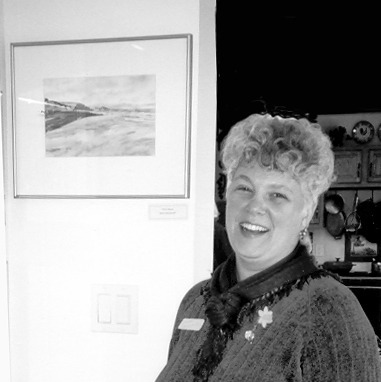 Read more about Diane Nevinsmith on our Featured Artist Page!